FASHIONABLE PU LEATHER LOOK AND FEEL MOSQUITO WRISTBANDS; thanks to the great design of our free of DEET bands, you can easily tie the mosquito bracelets so that it provides a comfortable, custom fit to everyone, whether adult or kid. No need to worry about buying the right sized pest repellent wristband! INDOOR & OUTDOOR PROTECTION; our natural mosquito wrists bands keep insects away both indoors and outdoors, and is one of the travel essentials for kids. Whether you're going on a trip to Africa or just living in an area with a huge mosquito population, these bracelets are the solution! NON-AEROSOL SPRAY TECHNOLOGY BETTER THAN MOSQUITO WIPES; with our efficient mosquito control, you'll never have to spray your entire body to keep mosquitoes away! Just put the Kinven mosquito repellent bracelet on and enjoy maximum protection, without inhaling fumes from mosquito repellent aerosols. Our free of DEET insect repellent over 100 + hour lasting wristbands are perfect for every situation with bugs. 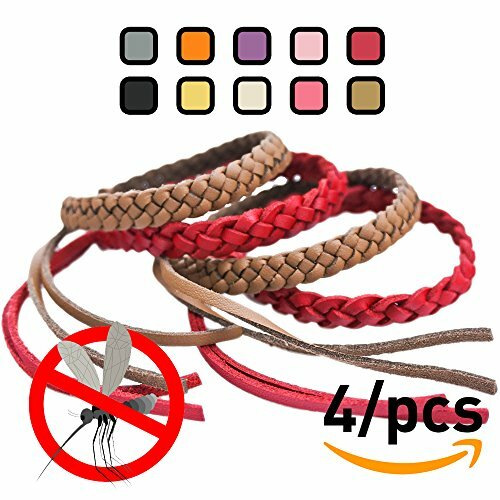 MOSQUITO BANDS FOR ADULTS AND KIDS LASTS FOR UP TO 15 DAYS (360HRS) MOSQUITO CONTROL; each bracelet lasts up to 15 days, enough for a 2-week holiday! Or use this pest control safe in the knowledge that you are protected when dining outdoors or in the patio. Or wear one during hiking. The Kinven Mosquito Bracelet by SadoSports is the most stylish all-natural mosquito repellent wristband on the market today. The insect repelling Kinven Mosquito Bracelet creates an invisible shield around you so you don't have to deal with those pesky biting insects! 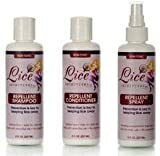 Repels mosquitoes, flies, gnats, no-see-ums and fleas. Wristband protection last for up to 15 days. We offer VOLUME DISCOUNTS - just contact us or call us.